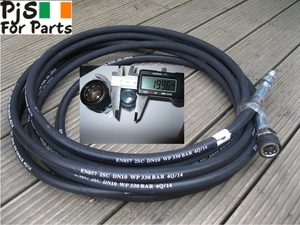 Top Quality heavy duty Pressure washer Hose 10mtrs . with quick connect fittings (larger type) with Male one end and female the other end. This Hose is found on many Honda Washers . See diameter of male fitting.